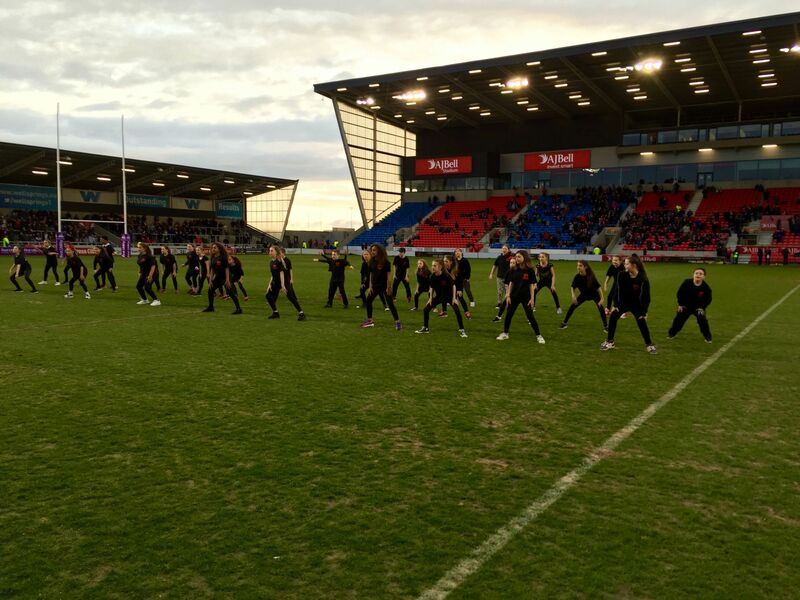 Our young Salford Red Devils Dancers took to the pitch at half time on Saturday's winning home game against Leeds Rhinos. The children aged from as young as 7 up to 14 and have been taking part in extra curricula dance with Salford Red Devils Foundation under the Dance Academy umberella. Not only did the children get to perform on the pitch but they were also treated to an Easter Egg to say thank you for all their hard work and commitment to their dance classes.